In light of our recent blog series on what doctors should be relying on when making impairment or disability ratings for injured workers, we thought it would be a good time to highlight just how different ratings can impact benefit awards. While our explanation below can give you a better idea of the importance of impairment ratings, please contact Denver Workers Compensation Attorney Jennifer Bisset when you have been hurt at work and you need experienced help obtaining workers’ comp benefits. The following table provides an overview of the benefit caps in place, based on the impairment rating given by a doctor and when the worker’s injury was sustained. The treating physician has assigned that worker an impairment rating. Let’s say a person was injured at work after January 1, 2006 and that he has already received $45,000 in temporary disability benefits for his injury. Once this worker’s doctor deems that he has reached his MMI, let’s also say that the impairment rating assigned is 20 percent. The $75,000 cap would apply. The benefits that have already been received (i.e., the $45,000) would be counted against this cap. The worker would likely be paid the remainder – i.e., $30,000 – in permanent partial disability benefits. When injured workers receive workers comp benefits before reaching their MMI and when the benefits received exceed the applicable cap, these workers may not be eligible to receive additional permanent partial disability benefits. Impairment rating benefit caps can come into play when workers’ comp cases are reopened (which can happen, for instance, when injured workers are able to successfully appeal the wrongful termination of their benefits). 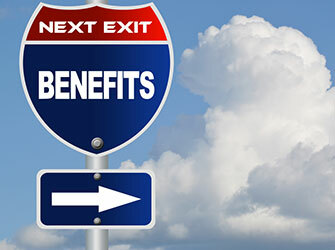 Given that benefit caps – and Colorado workers’ compensation laws – are regularly changing and being updated, it’s best to work with an experienced lawyer, such as Denver Workers Compensation Attorney Jennifer Bisset – when you want to ensure you will be able to receive the full amount of benefits to which you are entitled. Have you been injured at work? If so, Denver Workers Compensation Attorney Jennifer Bisset wants you to know that she is here to aggressively advocate your rights and help you obtain the benefits you need and deserve. While this means that you can count on Denver Workers Compensation Attorney Jennifer Bisset to provide with you personalized, responsive legal service, it also means that you can rely on her to provide you with the best representation to help you secure the maximum possible benefits. Contact Denver Workers Compensation Attorney Jennifer Bisset by calling (303) 894-8900 to learn more about your rights and receive a professional evaluation of your case. You can also email our firm using the contact form on the right side of this page.